Can Chiropractic Care Help with Arthritis? Chiropractic Care can be a great way to manage a relieve pain caused by Rheumatoid Arthritis and Osteoarthritis. Routine chiropractic visits can provide arthritis patients with a non-invasive, all natural, and safe alternative to prescription drugs and pain medications that are commonly prescribed to help manage arthritis pain. Many people who hear the word Arthritis think of an older adult, however, arthritis can affect people of all ages. Arthritis is inflammation of one or more joints. Arthritis is a collective term for very complex musculoskeletal disorders that include over 100 different diseases or conditions. Arthritis can affect various areas of the body and each type has a different cause. It is a group of conditions that involve damage to the joints and in some cases, it can also affect the soft tissue of the body. Although arthritis is not a single disease, there are two main types of arthritis that can benefit from routine Chiropractic Care. Rheumatoid Arthritis is a chronic inflammatory disorder in the joints. Typically the inflammation in Rheumatoid Arthritis is symmetrical, it occurs on both sides of the body at the same time such as both knees, wrists or hands. Some other common symptoms include ongoing fatigue, a low-grade fever, and joint stiffness that normally occurs in the morning or after periods of inactivity. Symptoms of Rheumatoid Arthritis often develop gradually throughout the years, but for some people, they can come on rapidly. Having a healthy immune system can be protective of Rheumatoid Arthritis because it will generate internal inflammation to get rid of the infection and prevent disease. If the immune system goes awry, it can mistakenly attack the joints with uncontrolled inflammation that can potentially cause joint erosion which may damage internal organs, eyes, and other parts of the body. Osteoarthritis is a degenerative disorder that affects flexible joint cartilage. In many cases, Osteoarthritis develops in the weight-bearing joints such as the hips, spine, and knees. However, it is also common in the fingers. The ankles, elbows, and wrists are usually not affected. Osteoarthritis is a progressive breakdown of the joints' natural shock absorbers. Many people suffering from osteoarthritis experience discomfort when using the affected joints. Osteoarthritis is more common in the elderly, but it can also affect people in their twenties and thirties. 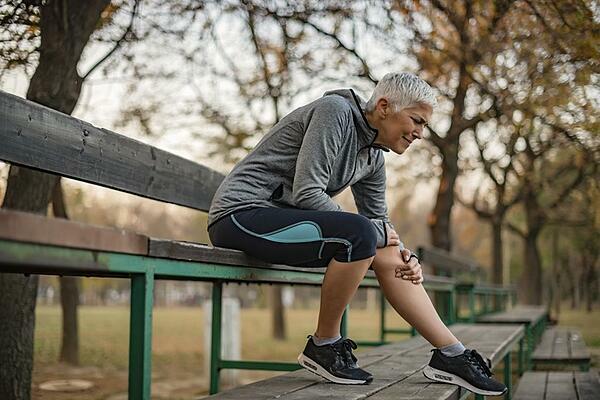 Athletes and people with jobs that require frequent repetitive motion are at a higher risk of developing osteoarthritis because of injuries and stress on the joints. Obesity and aging will also increase one's risk. The symptoms of osteoarthritis normally develop slowly. Pain and soreness tend to be experienced during prolonged inactivity. Unlike Rheumatoid Arthritis, Osteoarthritis does not affect the body’s organs or cause illness. It can, however, lead to deformities that can take a toll on mobility. Severe loss of cartilage in the knee joints can cause the knees to cure out which can create a bowlegged appearance. Bony spurs along the spine can irritate the nerves and lead to pain, tingling, or numbness in some parts of the body. How can Chiropractic Care Help with Arthritis? Chiropractic Care can be a great way to manage and relieve pain caused by Rheumatoid Arthritis and Osteoarthritis. Chiropractic Doctors are highly trained in understanding the joints and musculoskeletal system. Chiropractic adjustments and spinal manipulations are used to reduce joint restrictions or misalignments in the spine along with other joints in the body. Chiropractic adjustments help to reduce inflammation and and improve function of the affected joints and nervous system. Increasing joint mobility, improving the nervous system function and spinal health will give the body the ability to manage symptoms caused by Rheumatoid Arthritis and Osteoarthritis. With the body is in proper alignment, not only is the pressure taken off the nerves, but proper motion between the spinal joints will be restored. Maintaining proper alignment may help to increase flexibility, improve energy, and increase strength as the joints begin to function optimally. If you are suffering from Rheumatoid Arthritis or Osteoarthritis, speak with a chiropractor to find out if treatment is right for you. The Florida Spine and Injury Chiropractors will perform an in-depth physical examination after we have learned your previous and current medical history. Based on the exam findings and consultation, the chiropractor will come up with a specialized treatment plan that is designed for your particular pain needs. If you're suffering from arthritis pain, now is the time to seek the help of an experienced Chiropractic Doctor. Click below to schedule a Free Arthritis Consultation with the Chiropractors from Florida Spine and Injury and find out how we can assist with your treatment and pain relief therapy today.